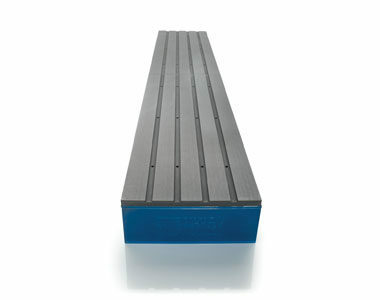 New Way® Air Bars offer an air bearing solution for conveyors. Through the use of our proven Porous Media TechnologyTM, large substrates, such as glass, are conveyed via a thin but stiff, layer of air, making no contact with the bearing surface. This patented technology offers a level of precision unavailable to conventional or orifice-based designs. 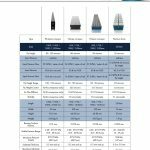 By offering four different product lines, New Way Air Bars are able to provide varying levels of control to meet the needs of a wide range of precision and customer-needs. The PA-series is our most fundamental air bar conveying substrates with air pressure, ensuring a non-contact experience. The T-series introduces the use of vacuum to flatten and control the glass utilizing a balance of air pressure and a single groove of vacuum holes. The H-series improves upon the T-series through the use of four grooves of vacuum holes. The large, attractive forces result in excellent flattening ability that helps maintain control of the glass at high speeds. The Precision Zone bar measures up to its name as our highest level of precision for fly height and control range, ideal for inspecting and analyzing specific areas of interest. The design ensures the vacuum pressure and air gaps are the same across the entire bar. This superior stability enables analysis and inspection of a greater percentage of the entire glass sheet. All four air bar product lines convey without contact making them ideal for products requiring coatings, as well as minimizing concerns of contamination. Even in the event of an air supply loss, the porous media allows for slow diffusing of the air. Coupling this with the soft-features of the carbon face, glass scratching and damage is reduced yielding greater production. 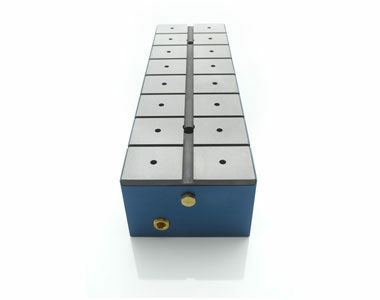 The unique use of porous media in air bars makes them ideal for clean room use. Not only is less air used in air bars when compared to orifice-based air bearings, but the air is evenly distributed by the porous media. Both of these features minimize the potential of currents or eddies in the clean room and its damaging impacts on production. Another benefit of the use of porous media is its ability to perform as a sub-micron filter for the air emitted. Testing indicates the bearing satisfies the requirements of Class 1 (ISO class 3) cleanliness, with airborne particulate concentrate limits of less than 1,000 x 0.1μm particles / m3. Non-contact conveyance is offered through four different product lines. Each air bar line is available in several standard sizes as well as any custom size, providing flexibility to arrange the bars as necessary to accommodate a large range of substrate sizes. Often, two or more air bar lines are integrated together to perform an end-to-end system of conveying, processing and/or inspection of the substrate. New Way Air Bars offer a non-contact method of conveyance, ideal for the fragile technology components manufactured today across a wide array of industries. With several different models available, New Way offers the ability to create your own unique conveyance system specific to your requirements, providing vacuum for tighter control and inspection when necessary. Coupling this with their crash-resistant design makes them popular for the applications listed here. An industry driven by precision, the use of air bars minimizes contamination and damage to the solar cells. Stable, controlled operation permits non-contact and precision handling of large sheets of cells. 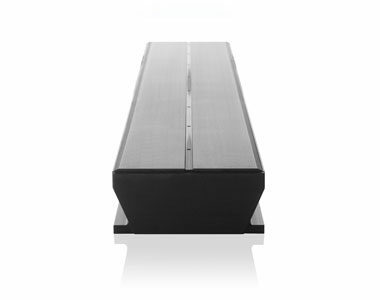 In our high-tech world, not only are customers looking for a high-speed linear conveyor with ultra-precision, but more customers are utilizing coatings. New Way prides itself on the ability to work directly with customers to adapt our non-contact, frictionless products like air bars to a customer’s particular problem set. Contact us for a complimentary consultation as we collaborate to provide non-contact conveyance using air bars!